With Authentic Skin Remedies all natural Organic Bath & Body line. This line was created by a Cancer survivor who wanted to change the way products are made. The line is 100% organic, and chemical free. The Bath and Body Luxe line is a three-step regimen. First is Polish. 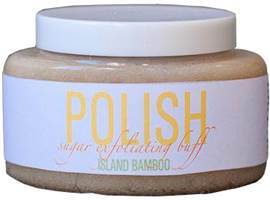 This is an Sugar exfoliating, natural buffing, formula for dry lackluster skin. It is a blend of organic brown sugar crystals, infused with essential avocado oil. This can be used on your face as well. Next there’s Gloss essential bath and body oil. This softening oil contains avocado oil and sunflower seed oil. You can also use it tame frizz in your hair or soften cuticles. I like it as a pre shave treatment. 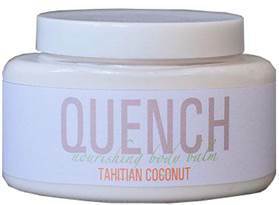 Lastly the Quench nourishing Face and Body Balm. This moisturizer leaves skin smooth and smells amazing! It’s made with Sunflower Seed oil and Shea Butter. “Authentic Skin Remedies employs highly active, hydrating trace minerals, pure vitamins, and live energy from plants that mimic the skin natural chemistry. By restoring its individual balance, you will uncover your true authentic skin. Authentic Skin Remedies offers highly concentrated plant-based skin care focusing on natural resources as the main ingredient, many of which are certified organic plant materials. All ingredients are paraben free and of course, cruelty free.” so get Authentic, and let people feel the results…..